Its confirmed by Filecloud Support that right now, users cannot selectively choose what folders they want to sync, or set up 'advanced offline folders' if a remote policy configuration is enabled their user. This results in a crash of the client. I think this should not be a limitation - it will most of the time be nessesary to use the very neat remote configuration functionaility for example enforcing the rule "removeunshared" on the users, but this shouldn't prevent a user - who e.g. has limited disk space - from selectively excluding folders from syncing to his or her disk. Thanks for the feedback, we will consider this. The same goes for network folders. If I add a network folder to be synced, it's forgotten about the next time a policy applies/next time the software restarts. 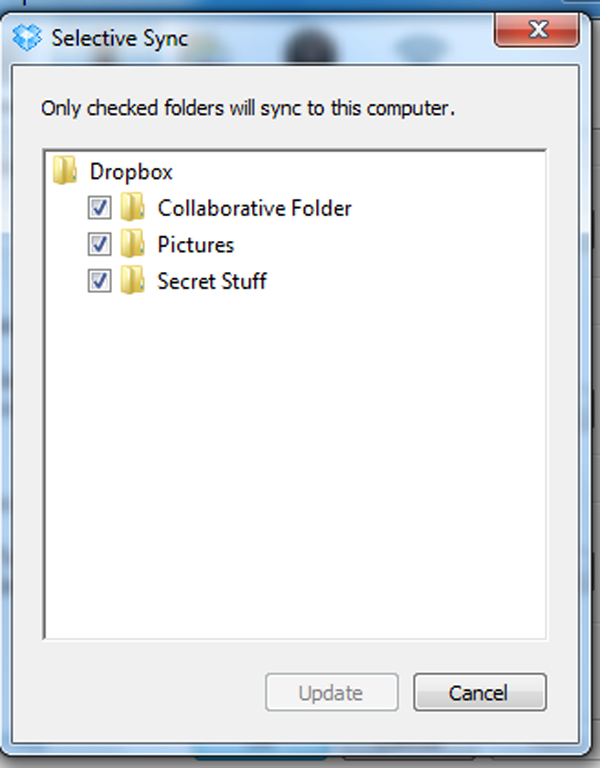 As far as I can see, there's no option for me as an administrator to dictate users network folders sync? I honestly think this should be considered more of a bug than a 'by design' thing as I was informed about, in e-mail conversion with you. Unless there is a <limitfolders> policy specified, it simply shouldn't mess with whatever users configure in 'selective sync' or 'network folders'. The Central device management feature is an awesome addition to filecloud - an important feature like selective sync shouldn't get broken by it. Any update on this? Once again, I don't really see why it isn't considered a bug more than a suggestion. Why should the user not be able to choose what he or she wants synced just because the administrator pushes a config that for instance say that all unshared folders must gets removed. This means that pretty much all customers are gonna have a client policy of some sort which means that pretty much all customers are not gonna be able to do selective sync. Furthermore it seems like, atleast to my testing, that TRYING to add folders to selective sync simply just freezes the client - not very user friendly. The latest 18.1 release addresses some of the crashes when users try to modify configuration when a remote admin pushed config is in effect. We will consider allowing user defined settings in addition to admin configurations. We are running into the same issue and it is causing a lot of calls to the helpdesk due to people running out of disk space. I think Central Administration should not disable Selective Sync. IT should not have to be involved with the management of what data a User syncs. I would think this would be an easy thing to separate on both the server side and client side, Especially if this client change can be pushed via Central Management. I also think that It would be nice to have selective sync be the default and have zero data synced, unless people choose to. This is what our users are used to due to the fact that this behavior is the standard for other Sharing solutions like Druva, Box.com, Dropbox etc. Thanks David for your feedback. We have opened a change request on this issue. If you are going to address this issue, I'd like to suggest making selective sync more user friendly. Perhaps like the owncloud client where a simple list of all folders are shown with check boxes and even how big the folders are. Has there been any updates to this. To date this is still the biggest issue we are running into. It is 95% of our FileCloud Helpdesk Calls. and the responsible Teams are dividing their files accordingly so we don't fill up their laptop drives. Hi David, 19.1 will support this feature to allow sync users ability to do selective sync even when central device management is enabled.This is already done and will be released. The sync interface is not being revamped in 19.1, we can consider for the future update.